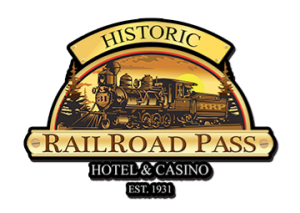 THE RAILROAD PASS is our hosting casino. This is where most teams will stay. Our Competitors meeting will be here in the banquet room Monday night May 15 from 6-8pm, it’s Mandatory for all competitors. Our awards ceremony will also be here in the banquet room May 20th 6-11pm. Please visit one of the many fine dining restaurants before the ceremony and join us between 6-7 for dessert buffet & drinks and at 7pm our guest speaker Terry Maas, followed by awards and a fun raffle.